← Nib Newbs! Sailor Pro Gear Slim Purple Cosmos! The Anderson Pens newsletter is hot off the presses! 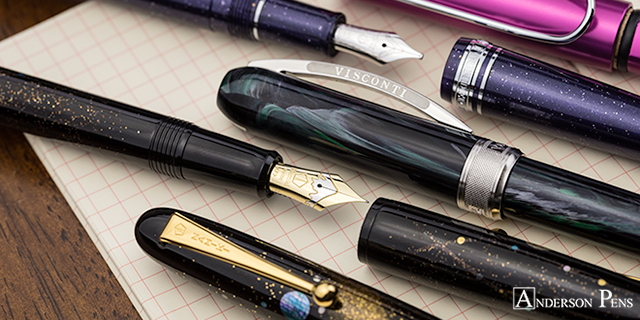 Namiki Yukari Milky Way & Shooting Star, Platinum 3776 Oshino, Visconti Rembrandt Dark Collection & More! This entry was posted in Newsletter and tagged Namiki, Retro 51, Sailor, Taccia. Bookmark the permalink.